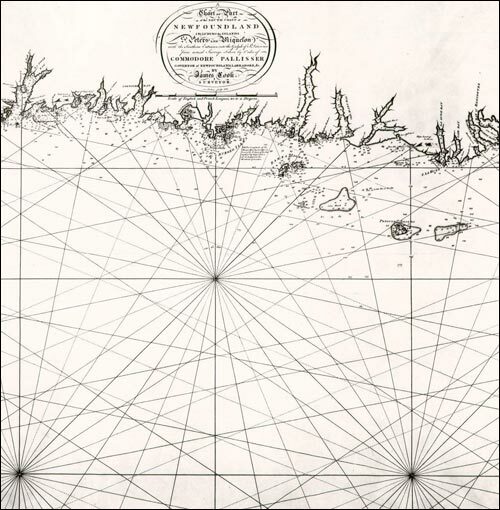 "A General Chart of the Island of Newfoundland with the rocks and soundings… By James Cook and Michael Lane Surveyors". Published by Thomas Jefferys in 1775. 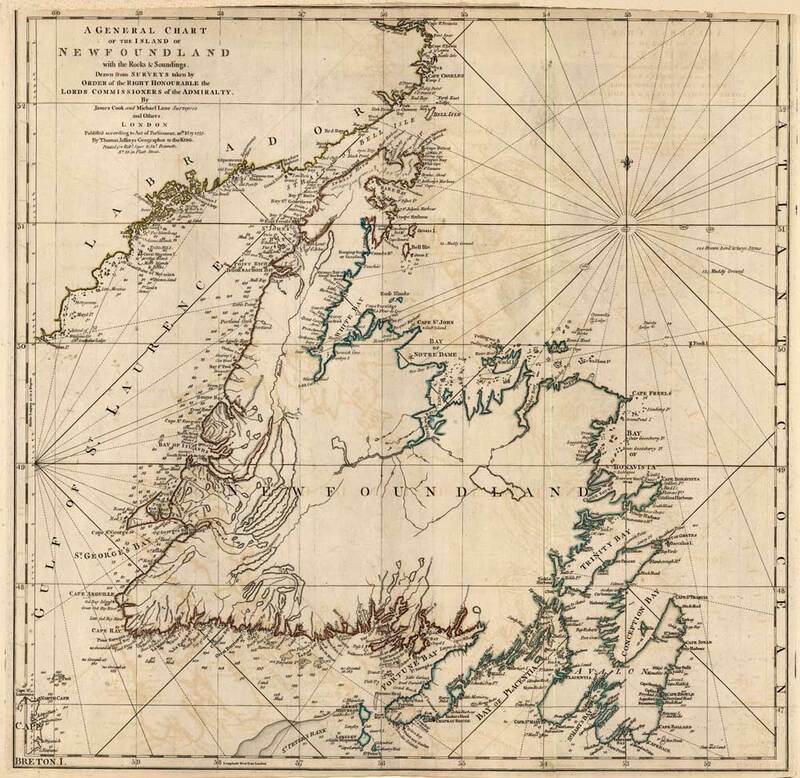 A chart of part of the south coast of Newfoundland including the islands of St. Pierre and Miquelon. This chart was commissioned by Commodore Hugh Palliser, Governor of Newfoundland from 1764 to 1768 and completed by James Cook in 1767. Courtesy of the Centre for Newfoundland Studies, Queen Elizabeth II Library, Memorial University of Newfoundland, St. John's NL. A plan of York Harbour, also known as Chateaux Bay, on the coast of Labrador, commissioned by Thomas Graves Governor of Newfoundland from 1761 to 1764 , and completed by James Cook in 1763. 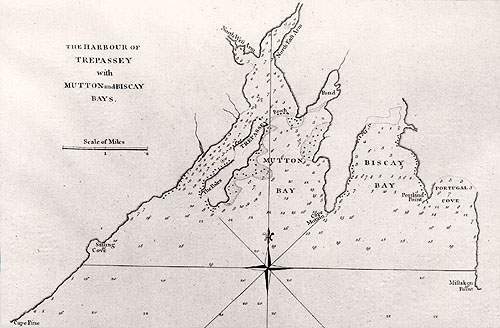 A plan of the harbour of Trepassey with Mutton and Biscay Bays. Surveyed by James Cook and printed by R. Sayer & I. Bennet of London in 1770. 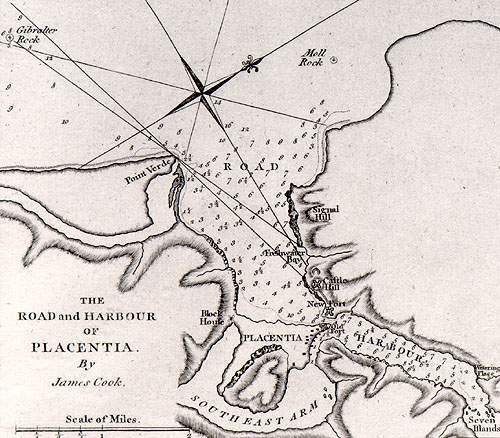 A plan of the road and harbour of Placentia. Surveyed by James Cook and printed by R. Sayer & I. Bennet of London in 1770. 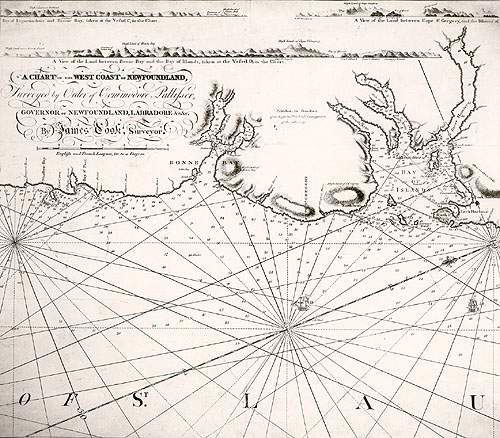 A chart of the west coast of Newfoundland, commissioned by Commodore Hugh Palliser, Governor of Newfoundland from 1764 to 1768, and printed by Robert Sayer & J. Bennett of London in 1770. North is oriented towards the lower left on this chart, and there are several topographic profiles which have been included at the top of the chart. 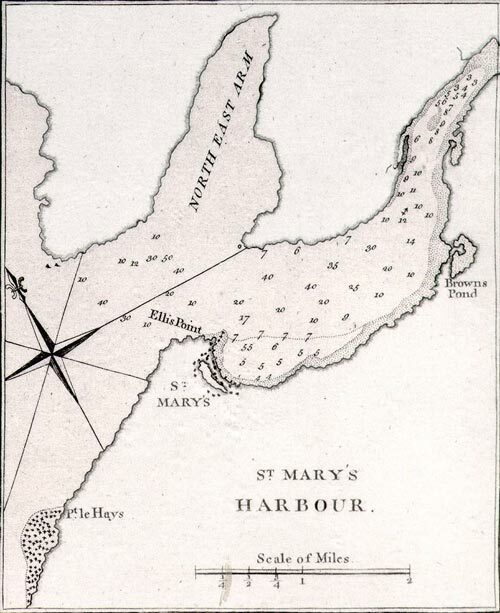 A plan of St. Mary's Harbour, Newfoundland. Surveyed by James Cook and printed by R. Sayer & I. Bennet of London in 1770. 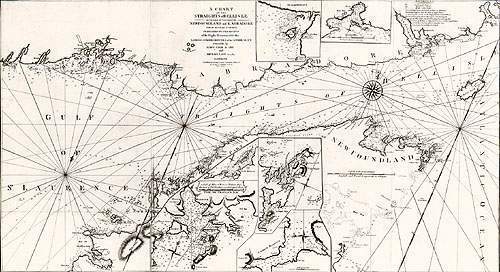 A chart of the straits of Belle Isle, including parts of the Newfoundland and Labrador coasts. 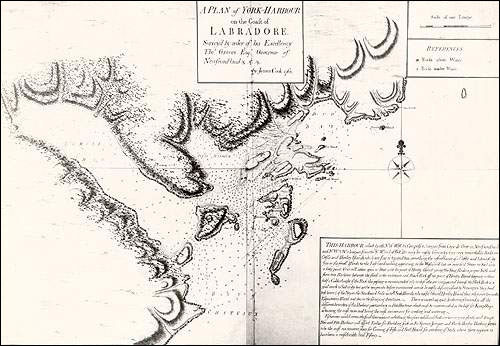 Surveyed by James Cook in 1766 and Michael Lane in 1769. Printed by T. Jeffreys of London in 1770.